Great collecting, display, cosplay, and productions! 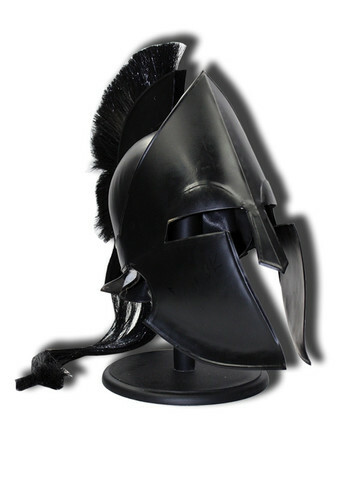 This replica Spartan helmet features 18 gauge steel construction with black finish. It stands 18" high and featurs a removable black plum. It also includes a built in, imitation leather arming cap that help the helmet fit comfortable on your head. Including a table top wood display stand, this helmet is perfect for collecting, cosplay, and productions!